George de Mohrenschildt; Michael A. Rinella, ed. Let us hope that this book, poorly written and disjointed, but sincere, will help to clear up our relationship with our dear, dead friend Lee. Thus concludes a largely forgotten manuscript appended to Volume XII of the House Select Committee on Assassinations. 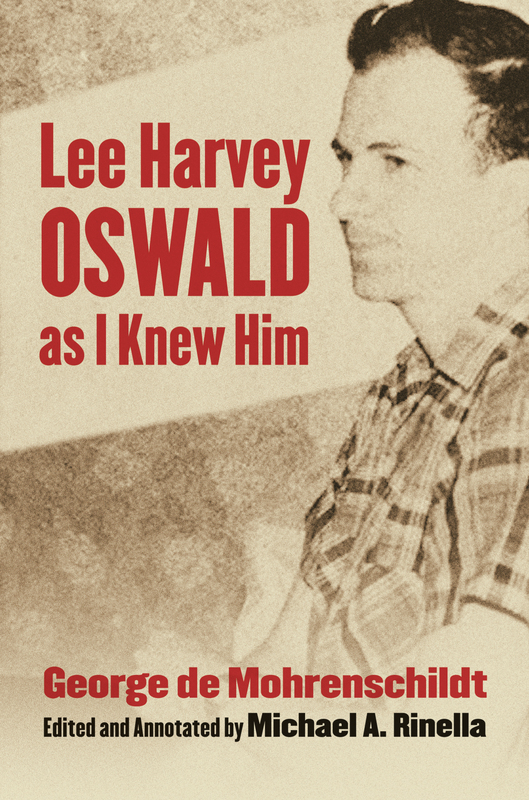 Lee, of course, was Lee Harvey Oswald, the man accused of having assassinated President John F. Kennedy in Dallas on November 22, 1963—and whose closest friend, many have argued, was Dallas resident George de Mohrenschildt. For years following Kennedys assassination there were rumors and assumptions—some started by de Mohrenschildt himself—that this colorful, larger-than-life European émigré possessed a key to understanding Oswalds alleged actions. The reflections presented here, recorded between 1969 and his death in 1977, was de Mohrenschildts attempt to recover the humanity of a friend he believed had been demonized as simply an insane killer. In a series of recollections about his brief friendship with Oswald and his wife Marina between the fall of 1962 and the spring of 1963, de Mohrenschildt recalls conversations about Lees time in Minsk, about political issues of the day, particularly Latin America, and the Oswalds turbulent and troubled marriage. He discusses the assassination and its aftermath, including his lengthy 1964 Warren Commission testimony, appearance on NBC television, and concludes with his own speculations about the possibility of a conspiracy to assassinate Kennedy and the question of Oswalds involvement. Threaded throughout are de Mohrenschildts reflections on the corrosive effects of his friendship with the Oswalds on his and his wife Jeannes personal and professional lives, first in 1964 and then echoing right up to the completion of this manuscript in 1976. Deftly edited and annotated by Michael Rinella, whose introduction also supplies critical background information and context, this once unwieldy, grammatically quirky, and eccentrically organized text can now be seen for the valuable biographical, social, and historical document it actually is. George de Mohrenschildt was born in 1911 in the present-day Republic of Belarus, and immigrated to the United States in 1938, sixteen years after his family escaped to Poland from the Soviet Union. Fluent in several languages and already well-educated, he received a masters degree in petroleum geology from the University of Texas, Austin, in 1945. In 1952, he moved to Dallas, where he lived—with a few years’ sojourn in Haiti—until 1977, when, shortly after learning that a congressional committee investigating the assassinations of the 1960s wanted him to testify, he took his own life.